Stephen Campbell Moore. Niall Macgregor. Alice O'connell. Simon Schama. Leo Wringer. Drama. True Stories. 18th Century. Documentary. Empire. Slavery. Sea/Rivers/Boats/etc. Civil Rights. Biopic. Religion. Politics. Black Interest. Historical. Recommended. A little known passage of British history - the fate of the black men who volunteered for the King's Men in the American War of Independence. At least the Empire didn't abandon them to the slaver George Washington and his thugs, instead dumping them on the desolate Novia Scotia coastline. But where there's life there's hope and enter the radical Thomas Clarkson's brother, a young naval officer named John, who, energised by their living conditions, collected the remnants and shipped them to Freetown, Sierra Leone, there giving birth to a colony that, briefly, was to become the first fully enfranchised democracy in mankind's history. 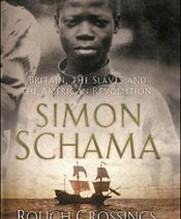 Schama's authoritive style of narration here sits alongside a more dramatised version of events than in his previous brilliant series and this doesn't altogether work, sitting somewhere between a popular intriguing history and a biopic docudrama, but never mind the story is of enough interest to overcome such minor quibbles.